Hosting companies sell their packages based on performance and resources. But for many customers, the control panel offered is a critical factor. Plesk is one of the most common branded control panels you’ll come across when shopping for a new web host. Plesk is the shortened name for the Parallels Plesk Panel, a control panel used in web hosting. It offers to host customers a friendly graphical interface to make website management easier for novice users. The way it’s designed also makes web hosting simple. That has given Plesk longevity among resellers too. Plesk was originally developed by the company of the same name in 2001 before it was sold to SWsoft, which in turn was sold to Parallels, a maker of virtualization software. Plesk was spun off into its own entity in 2015. Plesk’s name often pops up when talking about cPanel, which is no surprise. We will cover competition further down the page! Control panel interfaces have drastically improved in recent years, making competition tighter. Plesk Supports Ruby on Rails, Apache, and Tomcat. There are versions of Plesk for various Linux distributions (including Red Hat, Debian, and Ubuntu), plus various versions of Windows Server. It also supports platforms like Ruby on Rails, Apache, Tomcat and more. Note that the various platform-specific versions of Plesk are not exactly the same, although users of one should be able to use the other without issues. Who's Best for Plesk Hosting? We think A2 Hosting is the best choice for Plesk. It is possible to administer your website using nothing but the command line over SSH. While it works, this can be tedious for new users and it’s a manual process. Control panel software like Plesk makes managing your websites easy by offering a graphical interface. Even worse, a lot of hosting plans, especially shared hosting plans, don’t include SSH access at all. Even for expert users, managing servers via the command line requires memorizing commands. The rather simplistic dashboard of Plesk. If you don’t know what the command is for a task, you won’t be able to do it. With a web-based interface, you can see all the options at a glance. This means you’ll often have to manage your website through a control panel anyway. For smaller teams with lack of development knowledge, easy-use dashboards can be a life and time-saver. On Linux hosting, Plesk’s main competitor is cPanel. On Windows, Plesk’s rivals include DirectAdmin and some smaller, lesser-known applications. All have their own quirks. Some hosts have developed custom control panels unique to their own hosting packages. cPanel is Plesk’s greatest rival, without a doubt. This is the comparable dashboard. Furthermore, cloud hosting often calls from a bespoke platform. We’re often asked whether Plesk or cPanel is ‘better’. In truth, they are both very capable, although quite different. The choice comes down to personal preference, to a point. Moving hosts is not straightforward at the best of times, and it can be very problematic if you don’t stick with the same control panel. If you plan to grow your site and may need to move in future, it’s best to go with a branded panel like Plesk so you don’t have to learn everything from scratch. Plesk data cannot be exported and imported into cPanel, or vice versa. This may make it difficult to migrate data from one account to another, or from one host to another. Plesk has a neat backup manager with plenty of easy-to-use options. Similarly, you cannot export backups from Plesk into any other tool. This could be an issue if you’re migrating to another host and they do NOT have Plesk support. Many hosts, however, do support both Plesk even though, even though they aren’t compatible. Plesk is only online and functional if your web server is fully functional too. 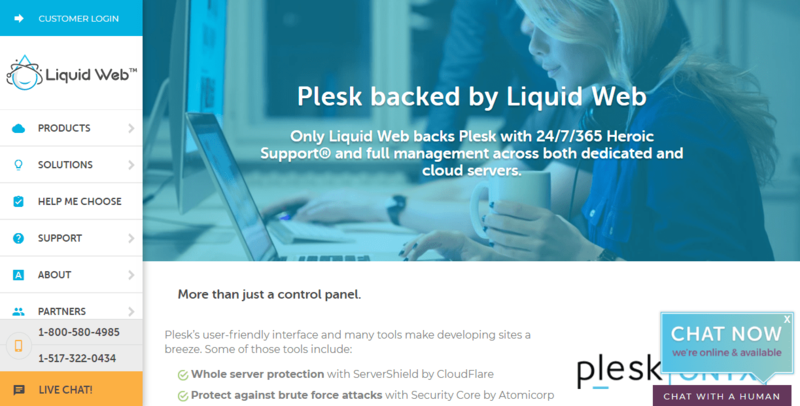 If something breaks and your site breaks, Plesk stops working. That means that it can be difficult to recover from a catastrophe without the help of your host. cPanel is arguably easier for a beginner to navigate since all options are available with a single click from the homepage. Saying that Plesk also has a tidy user-interface. Plesk is geared for shared hosting, but it can run on dedicated servers as well. cPanel and WHM offer a similar ability to manage dedicated servers. Ultimately, the choice between Plesk and cPanel, as with a lot of things in technology, comes down to a matter of taste. It’s like the choice between Mac and PC. They both do similar things, but they excel at some tasks better than others and it can be difficult to switch from one to the other. There’s one big difference between Plesk and cPanel, and that’s the server management side. If you resell web space to clients, this could make a difference. cPanel is dedicated to the management of individual sites, and it’s installed with a separate application for managing accounts – WHM. In Plesk, these two functions are integrated into the same browser-based interface. This makes it easier to quickly manage a server alongside individual accounts. However, for regular cPanel users, this combined system can be confusing, even though it makes a lot more sense ‘on paper’. Resellers have the incredible option to add extra services, to generate more revenue. Plesk also has the option of offering software and scripts for sale. This can help resellers bring in extra revenue alongside the price of their hosting plans, and that could help them increase revenue and offer a more professional service. 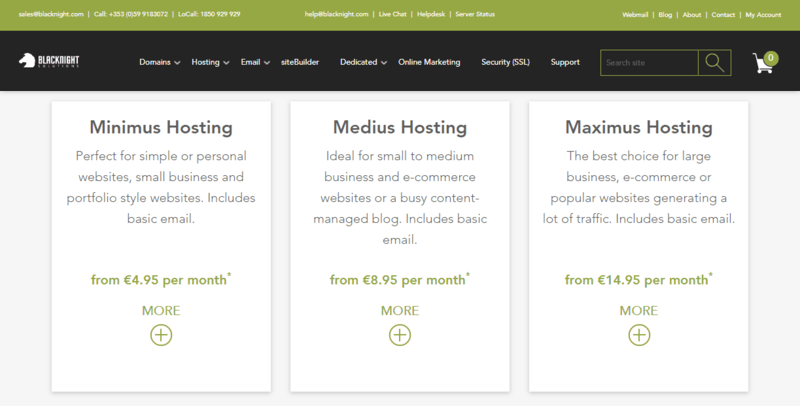 With Plesk Billing, it’s easy to resell web hosting with your own branding. If you’re in the market for a web hosting provider, you’re going to be looking at more than just the control panel. You’ll be looking at things like price, service and technical support for web hosting as a whole. It is important to know how often Plesk updates their existing versions. Moreover, it’s useful to know how often entirely new versions are released for public use. Be cautious of Beta versions. Ask yourself about your team’s capability to manage your website or project. How much do you rely on your host’s support with Plesk? Some hosts provide significantly more support with control panels more than others. 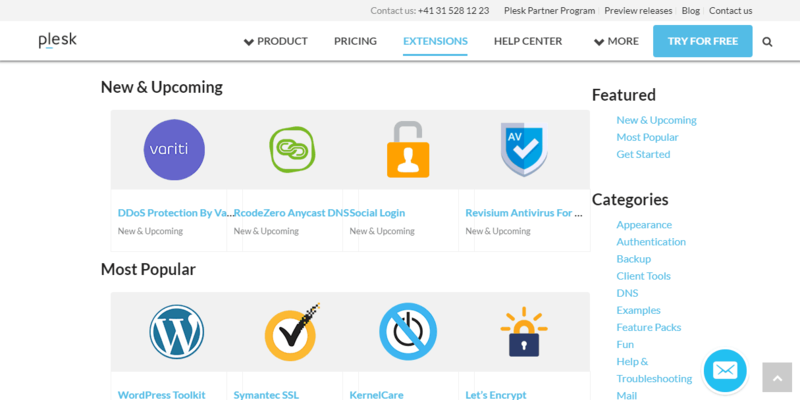 Plesk’s website has a list of their most recent and popular extensions. You can never have enough extensions with a control panel. Does your selected host provide Plesk extensions and tools? Some use cases could be encryption, DDoS protection or website builders. Opting in for a package and realizing the inability to upgrade is terrifying. Ensure your host supports Plesk throughout every hosting plan you may possibly rely on. Will you be running on a Linux or Windows host? Windows servers exist, but Linux support is more widespread in the industry. A control panel is nice to have, but it likely won’t be at the top of the list of features for your web host. Some people might prefer cPanel, but the choice of the control panel will likely be dictated by the service you’re running. A shared hosting plan might have a choice they prefer, whether Plesk or cPanel, that you won’t be able to change unless you have root access on a dedicated server. Still, having Plesk preinstalled is a lot more convenient than purchasing and installing it yourself. Plesk is well-supported in the web hosting industry, so you shouldn’t have too much difficulty finding a host that offers it. You’ll look at other things like pricing, features, and support. The control panel is only a small part of your hosting experience. A2 Hosting makes Plesk available through its Windows hosting plans. You can install popular extensions through Plesk, including WordPress and MySQL. The plans start at $4.50 per month. All of their plans have unlimited storage. Liquid Web is a host that offers either cPanel or Plesk across its managed hosting plans. Liquid Web is geared toward dedicated servers. This is a good provider if you want the control that a dedicated server can offer you. You can also choose cloud or VPS hosting. Blacknight is another host that offers a choice of control panels for its dedicated servers. Our users have given Blacknight high marks for its support, uptime, features, and value, so we rate it as another good choice for a dedicated server with Plesk. Support for multiple domain name registrations, subdomains, domain aliases, and wildcard domains (nonexistent domain names). Role-based access, for extra security. This means that certain people can be limited to certain tasks. A web developer might only have the ability to make changes to a website, not to the whole server. The ability to create hosting templates, which are predefined resource allocations for clients. Some hosts install Plesk with the Power Pack, an optional extra that offers social media integration, smartphone monitoring. It also offers phpPgAdmin for PostgreSQL and website builder tools (Parallels Web Presence Builder and UNITY Mobile). Some also offer Kaspersky antivirus tools as part of the Plesk installation; this is included in the Power Pack, but can also be installed as a standalone product. Other modules can be installed from within the Plesk panel interface, including alternative antivirus solutions. 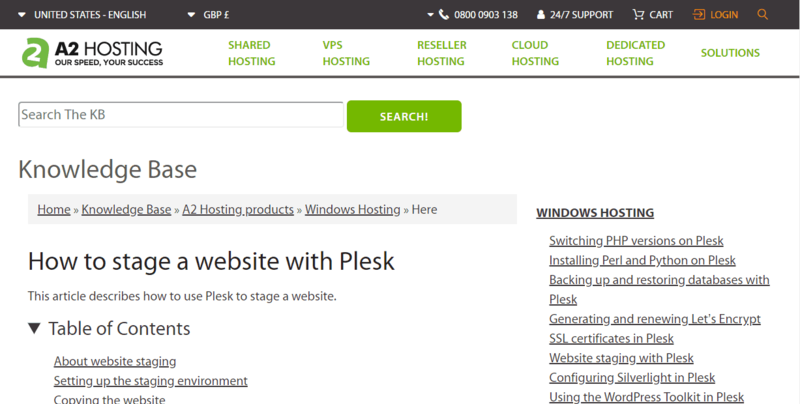 Plesk is a web hosting control panel that is most associated with the Windows operating system. It offers pretty much the same features as cPanel. Plesk users can manage thousands of virtual hosts on a single server. Plesk control panel can be used with VPS, shared, and dedicated web hosting. Plesk automates tasks that allow web hosting providers to reduce resources and operating costs. Why do people use Plesk? Plesk control panel is 100% automated and includes features that make it easy for you to manage your server and domains. Unique features include migration manager, key auto-update mechanism, auto-component updater, and web-based installation assistance in managing your server and domains. Plesk is a highly stable control panel and is capable of supporting many domains on a single server. What are the alternatives to Plesk? The most direct ‘alternative’ to Plesk is cPanel. Some people claim that getting used to cPanel is easier, as most web hosting service providers install cPanel for their clients. cPanel has powerful tools that perform essential tasks easily and quickly. However, cPanel is not available on Windows. Other Plesk alternatives include open-source control panels like Zpanel, Zentyal and Vesta control panel. What are the system requirements for Plesk? Plesk requires Windows Web Server 2008 or Windows Server 2012. It supports a number of Linux distributions. Not usually. Most popular web hosting companies will install Plesk for you without any additional charges. Customers may be given an option between Plesk and cPanel upfront. Can I use Plesk in the cloud? Plesk control panel is compatible with the cloud as long as it is supported by the operating system that is running. Can I monitor my servers using Plesk? Plesk offers mobile monitoring to let you monitor your servers 24/7 so that you can fix issues as soon as they arise. By monitoring the servers by mobile, your company is more streamlined with this function available. You can log into Plesk by pointing your mobile browser to post 8443 of your website. Can I upload data without FTP clients? Yes. Plesk provides a built-in file manager so you can manage, upload, move, copy, download, and modify all the files on your hosting package. You can also package several files into a zip archive. Is the Admin Panel similar to cPanel? cPanel has WHM (Web Host Manager). The cPanel side is for the domain owner, whereas the Web Host Manager is for the server administrator. These two systems have separate logins. Plesk, however, has a single login for domain owners and administrators. The options are different and switching from one system to another may cause confusion at first. Does Plesk support all major CMS platforms? Plesk features an internal application installer that makes it easily to install and manage most CMS platforms, including Joomla, WordPress, Drupal, and Magento, in just a few clicks. The application installer can also be used to install ecommerce applications like a shopping cart. Also, any of the applications can be uninstalled directly through the control panel. Yes. Plesk control panel can be customized with the “Virtuozzo” software to create a variety of templates. Professional web hosting providers and webmasters can customize the Plesk user interface to make it consistent with their brand’s look. What can I do with Plesk at the Client level? Plesk allows you to set limits, generate a complete report of your accounts, view assigned IPs, and setup your custom buttons, logos, and directories at the Client level. You can also set up domain templates and view traffic stats with the press of a button. What can I do with Plesk at the Domain user level? Plesk allows you to control everything associated with your domain at this level. Resellers can give this level of access to their clients. Features include one-click install of popular scripts, password management, DNS management, and built-in SiteBuilder.